When a big player in the guitar world such as Gibson releases an app, it is expected to be pretty good. Guess what – it is. This is probably the most fully-featured (free) guitar app on the App Store today, and what’s more it’s beautifully presented to boot. Included is a chromatic tuner (which is naturally best used in a quiet environment) which can be used to tune any instrument using your device’s microphone, several alternate tuning styles (including Drop D, Open G and Low C) and a bog-standard tuner for matching your instrument’s pitch to the sample note. It doesn’t stop there, Gibson also threw in a metronome which can be altered to suit your desired tempo (and set using your fingers with the tap-pad) a decent chord library and free video lessons. Whilst the tuner’s not the sharpest, and the chord library isn’t complete you still can’t match this app for sheer features, presentation and usability. A must-have if you regularly find stringed instruments in your hands. 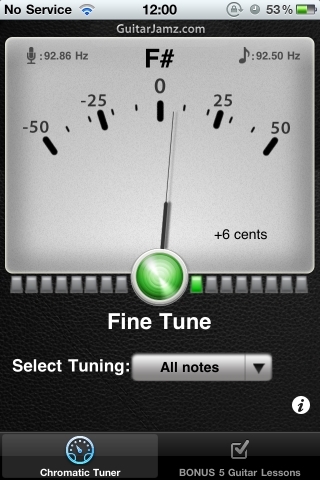 The first tuner app I downloaded for my guitar, EpicTune remains on my iPhone despite Gibson’s attempt above. Like any simple chromatic tuner, Epic monitors for tones from your iPhone’s microphone and reports back with the note and fine-tuning options. If you’ve ever tuned a guitar before, you’ll know how it works. 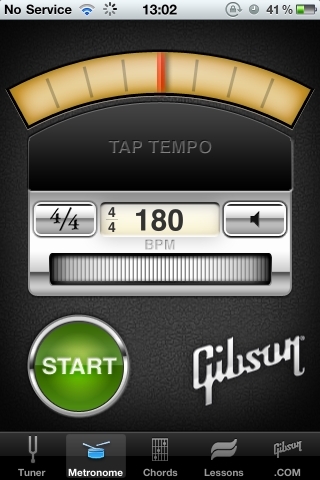 There are a decent array of different tuning styles (12 in total) and the app does a pretty damn good job of tuning-up a guitar. Simple, fast and clutter free – perfect for tuning in a jiffy. 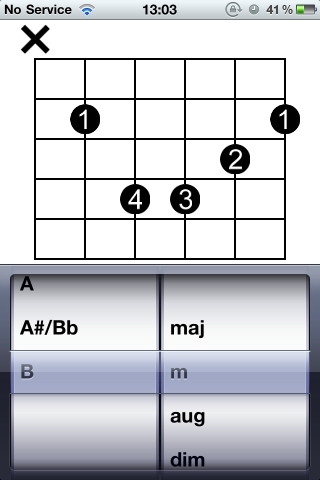 Included on this list for the same reasons as Epic above, Chords is one of the simplest apps you will ever use. There’s no colour, sound or elaborate diagrams – just chords, presented black-on-white in a large readable format. Chords includes 28 chord types for each different note, making it a basic yet very powerful utility. Choose a note, choose a variation and you’re good to go – an essential bit of software that means you’re never caught short without a chord book! Another free app with a stellar line-up of features. Guitar Buddy provides you with quick access to essential learning materials, with the option of having a few in-app purchases as well. These essentials include 30 scales, in excess of 300 guitar licks (movements), 20 free classical tabs and a chord dictionary with over 1,300 chords included. That’s not quite where the magic ends – Guitar Buddy also plays you the scales, licks, tabs and chords you are trying to learn. This is an important part of judging tempo, timing and above all getting the notes into your head. The in-app purchases consist of well-known songs, though you will never need to spend a cent to get your money’s worth from this app. 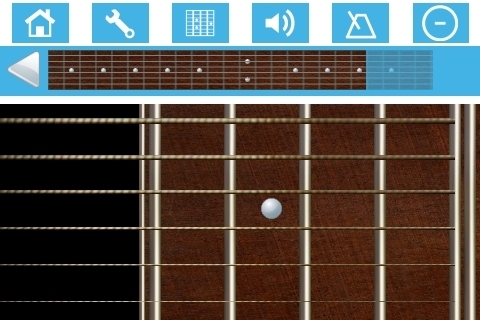 The only virtual guitar app on the list, Guitar Free with Songs is a shockingly easy to play virtual guitar that allows you to tinker on the go. Anything you learn whilst using the app will also apply to your full-sized acoustic or electric plaything. So, if you feel the need to strum away on the bus, learn a few simple songs on the go or serenade a workmate with a rendition of Happy Birthday then now you can! 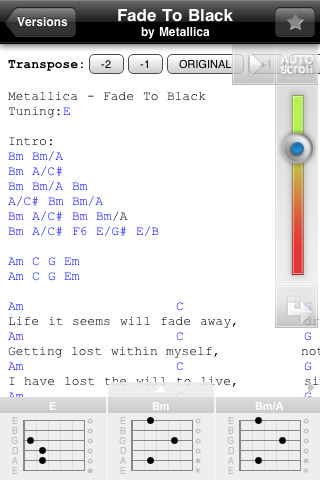 The app is upgradeable for $9.99 which includes 500 songs to learn, though again it’s fun on its own. 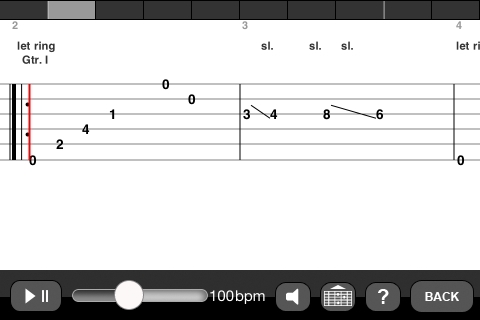 This app isn’t free, but Ultimate-Guitar is the only place you’ll probably ever need visit to find that elusive tab. Unfortunately the UG overlords don’t have a mobile site, so whilst navigation on an iPad is probably fairly good – iPhone users will suffer. Instead they’ve got an app, which provides a beautifully formatted version of the tabs on their website (not to mention easy search, a touch interface and so on). If you’ve been searching for the absolute best way to view tabs on a small screen, already have a UG account with plenty of favourites and don’t mind paying $2.99 then this app will deliver the goods you’ve been crying out for. I know there are thousands of other apps out there, what are some of your favorite music apps? Whether you are teaching yourself or learning music from one of the incredible instructors at Creative Soul, these tools will help you to become the next great guitar super star. If you are intersted in learning more about the guitar, or any instrument, give Creative Soul School of Music a call, or shoot them an email.